Blazing Deer Salsa | Extravaganza! 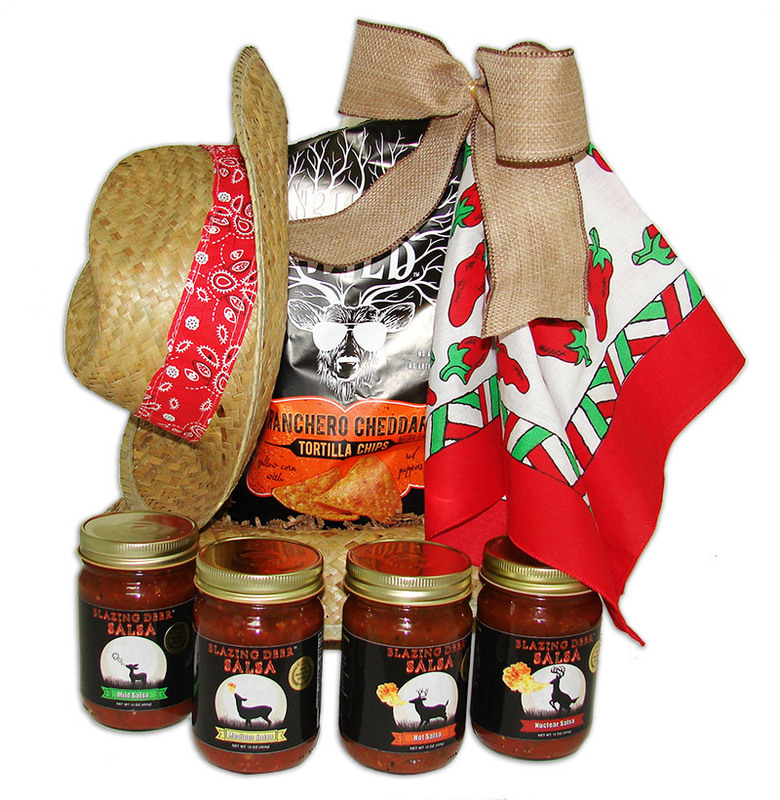 Blazing Deer Salsa is made locally by an Arizona Company and is delicious, with a chili type flavor. The salsa is paired in this basket with Buck Wild Rancho cheddar tortilla chips. The salsa heat levels include mild, medium, hot and nuclear. Your salsa choices can include just one for $28, 2 for $35, 3 for $42, or “the whole herd” as they say, for $49.